MPD Digital (https://mpddigital.us/) has generously donated two very nice cable assemblies (“MPD400 PVC SUPERFLEX with PL259 Connectors, 50ft” & “Times Microwave LMR-240 with PL259 Connectors, 25ft”) and a wide variety of jumper cables for use as door prizes. Please check them out when upgrading your station, building a go-kit or making preparations for Field Day on June 22nd & 23rd. Scott & Kimberly Davis (www.n3fjp.com) provided a gift certificate for a free N3FJP software suite which will be given as a door prize. If you’re not lucky enough to win it their software is well worth the purchase for a comprehensive collection of logging programs for an active ham. An amateur radio net is an "on radio" gathering of amateur radio operators. A net may be formal or informal. They reoccur at regular intervals on a schedule. A net control operator is the individual presiding over the net that directs whose turn in order may speak. A predetermined topic may be selected or there may be open discussion depending on the type of net. Some nets serve a specific practical purpose while others are merely social. Getting involved in a social net is a quick way to meet other hams and become familiar with the process of repeater or simplex operation. The Bellevue Amateur Radio Club official weekly net is the Bellevue Amateur Radio Club Protocol Net which takes place Mondays at 20:00 ( 8:00pm CST ). The Protocol Net gives all area amateur radio operators the opportunity to participate and share traffic and announcements. This is not a round table discussion net, it is a short net in which you check in and become informed of local radio related events. Please consider joining and offering your contribution to our club. The Bellevue Amateur Radio Club is an active part of the local radio community providing an excellent field day, radio education, regular meetings, events, and training. New licensees may receive the first year membership for free. This really is a great group of hams and we want you to be one of us. If you'd like to join ARRL or renew an ARRL membership please print the affiliated club membership form and bring it to any club meeting. The form is online at: ARRL Affiliated Club Membership Application. Copies are available at club meetings. For our newly licensed members I encourage you to join ARRL. One reason to join is QST, the ARRL magazine. It's an excellent source of information, and ARRL members can access an online archive of QST going back decades. Join us for the BARC Protocol Net, Monday Evening at 8! 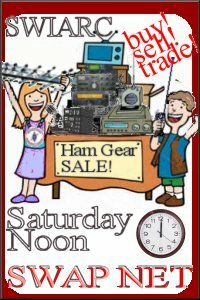 Every Saturday SWIARC has a swap net for ham radio gear. 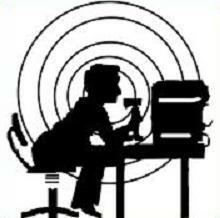 You can sell your ham radio items or listen for equipment to buy. 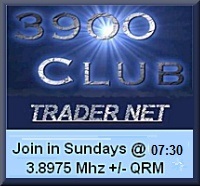 Listen on the 146.820 repeater at 12:00pm for the SWIARC Saturday Noon Swap Net.